It’s 1925. You and your Family of Associates have been trying to get respect for years. But the richest mobster in the country, Al Mansky, has been cramping your style. Al’s a bit eccentric; he doesn’t trust the cops or banks, so all his loot is in his mansion, guarded by a diabolical security system of explosive traps. The good news is that he’s out of town. It would be a shame if something happened to all that loot, but a Family (working together) that bested Al would make quite a name for itself. Of course, the most fame - and (dare we say) leadership of the Family - goes to the person who walks away from the job with the most loot. Your colleagues may not agree with you - but you all owe each other favors. Calling in the right favor at the right time is what leadership is all about in this business. The key is to work together to help yourself - and don't get blown up! 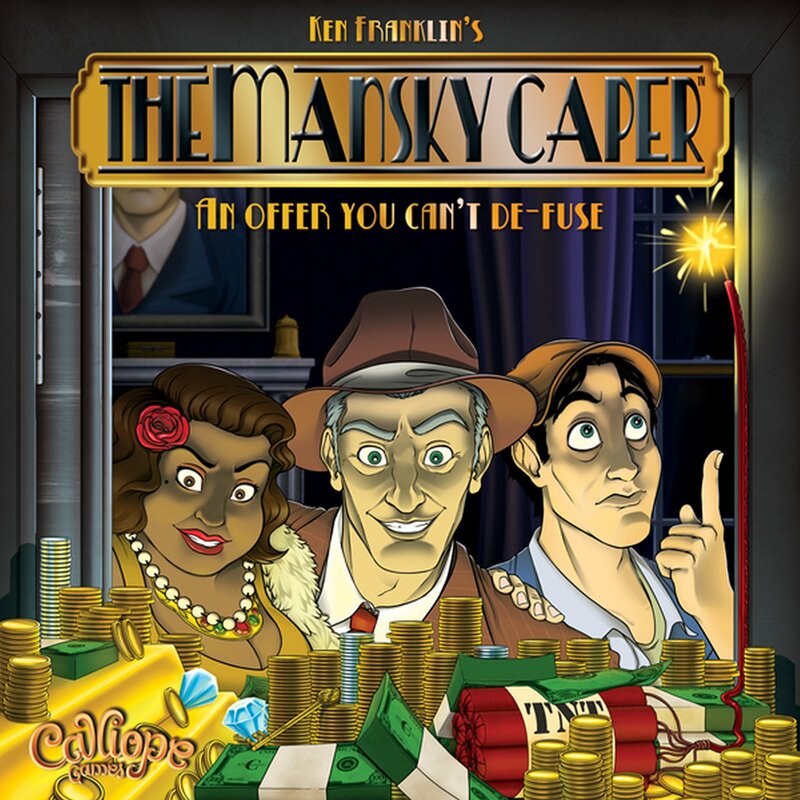 In The Mansky Caper, players team up to ransack rooms of Al Mansky's mansion, opening safes to find the valuables inside. Split loot with others in the room, and watch out for twists of fortune and dangerous traps that can ruin your plans with a bang! The winner is the player who has accumulated the most loot in their private stash at the getaway car by the time Al’s mansion is completely ransacked.